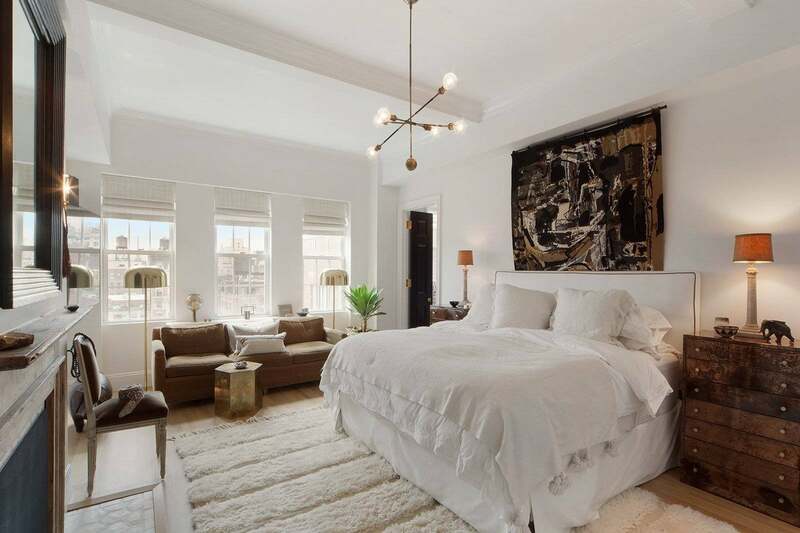 Per 6sqft, the recently renovated apartment is actually comprised of the top-two floors of a prewar building on Fifth Avenue and was the home of design power couple Nate Berkus and Jeremiah Brent. The sophisticated spread features coffered ceilings, four fireplaces, and a wrought-iron staircase, enhancing the architectural, old-world charm of the place. The pair devoted the top floor entirely to entertaining, especially the custom chef’s kitchen, that boasts skylights, wall-length windows, and an adjoining formal dining room. The lower level living quarters hosts three distinct bedrooms, including the master and its’ marble-clad en suite bathroom with an old-school soaking tub. There’s also a glass-enclosed office space and massive walk-in closet nestled near the master suite. And since the couple just welcomed their first child, Poppy, to the world in March, it’s no surprise that the stunning space also holds a delightfully decked-out nursery, too. See more inspiring Nate Berkus interiors!